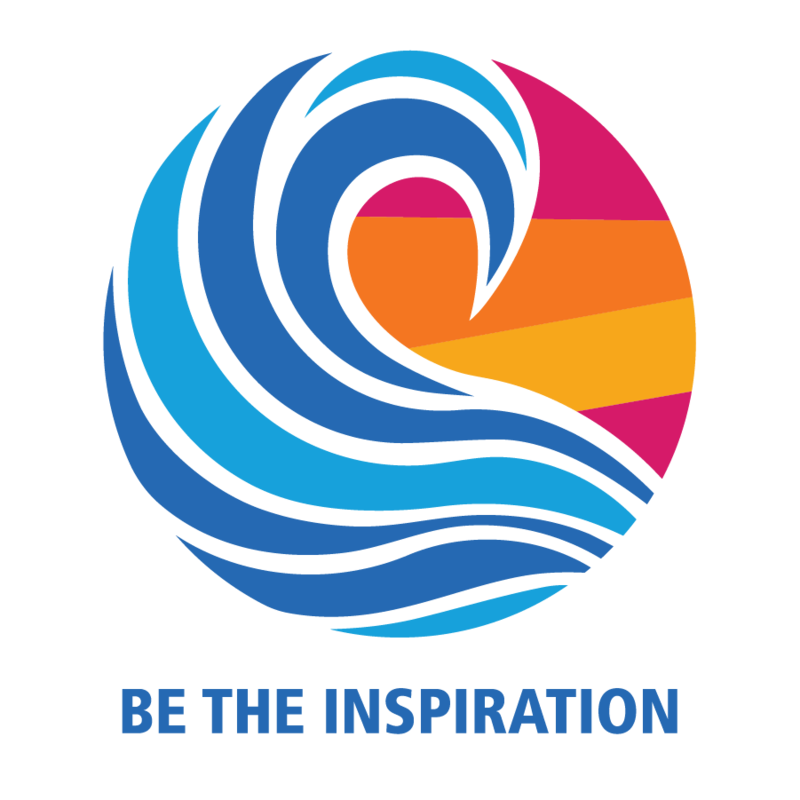 The values expressed in Rotary International's Motto and the Four-Way Test greatly parallel those articulated in the Scout Oath, Law, motto, and slogan. Rotarians have long served as role models, demonstrating leadership, character, and the value of selfless service to the community. Rotary clubs in the United States charter nearly 1,400 Scouting units (Cub Scout packs, Boy Scout troops, and Venturing crews) serving more than 50,000 youth members. 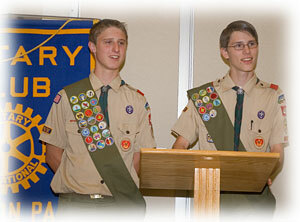 A longtime friend of Rotary -- the Boy Scouts of America -- marked its 100th birthday on February 8, 2010. Read the full article from the March, 2010issue of the Rotarian magazine (PDF). Past RI President John Kenny is an active Scouter, as were many past RI presidents, including Cliff Dochterman, after whom the International Fellowship of Scouting Rotarians (IFSR) named its award for outstanding service to Scouting by Rotary Club members worldwide. 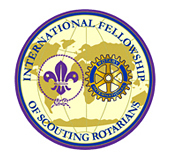 For more information, please visit the IFSR website at www.ifsr-net.org or Boy Scouts of America where brochures and more information about the Rotary-Scouting partnership can be downloaded. 2.Promote club recognition of Scouts through Scout of the Month programs, scholarships, camperships, youth exchanges, etc. Photo Credit: At a Cameron Park Rotary Club meeting, Life Scouts Brandon and Jordan described projects at the Cameron Park Rotary Community Observatory site that they propose to accomplish as the last step in qualifying for their Eagle Scout rating. Brandon has designed and will supervise the construction of a path from the northeast corner of the college parking lot to our paved driveway, a distance of about 180 feet. He also proposes to construct and place a picnic table made of cedar at the site. Besides designing the project Brandon must select material sources and arrange to have them delivered to the site. He said that it is interesting that when he mentions that the materials are for an Eagle Scout project the vendors usually offer a discount price or the donation of the material. Jordan proposes a project closer to the observatory. Located to the south west of the building is an old spring surrounded by a makeshift fence. He proposes to stabilize the area around the spring and surround it with a wrought iron fence. A bench will be incorporated with the fence. A path will be constructed to provide access to the spring area by observatory visitors. The path, which will be about 200 feet long, will have a grade which will comply to handicapped standards.